French philosopher Henri Bergson believed that tools make humans unique in the animal kingdom. He argued that we are the only species to create useful implements for a whole variety of purposes, and have done so since the beginning of time. In prehistoric ages, we shaved sticks to start fires. Today, we use voice activation to turn on lights. We forge tools to encourage our lifestyle to evolve and, in many ways, these instruments make humans human. Tools were historically created to support our everyday lives and provide essential needs – objects that helped us keep warm, find food and make work. Today we have begun to produce devices – in the form of Artificial Intelligence – which actually transcend human capabilities. AI is more than just a useful gizmo, it is something that offers an improved version of ourselves. 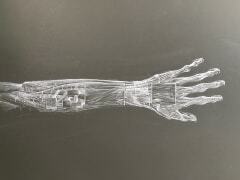 How do tools define ‘human-ness’ and will they one day go beyond humans? 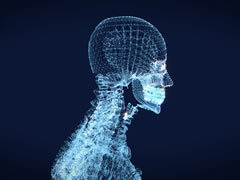 ‘Body hacking’ is the term given to when the human body is improved by the implementation of various devices, inside and out. 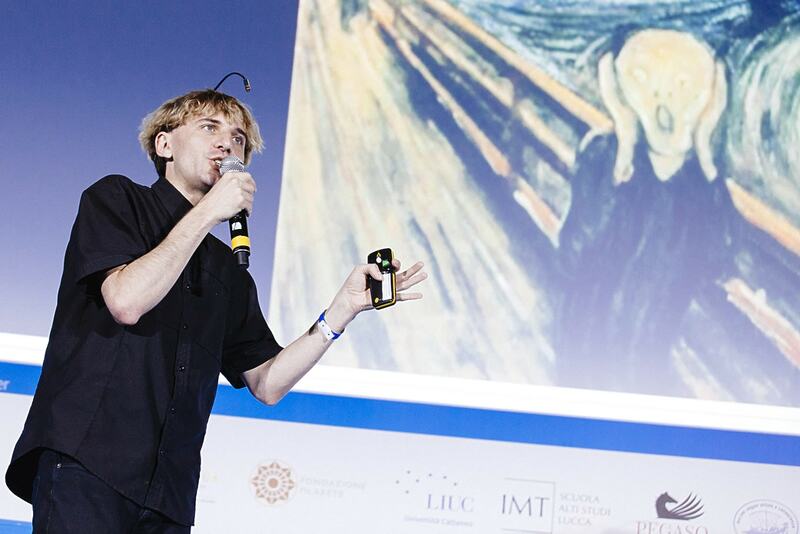 Neil Harbisson is an artist and co-founder of Cyborg Nest, a company that creates cyborg senses. He was born with a congenital form of color blindness called achromatopsia that meant he could only see in black and white. In order to distinguish tints and shades like everyone else, Harbisson developed a new ‘sensory organ’ in 2004. The artist has a special antenna permanently attached to his skull, which connects to a chip in his head that transforms light wavelengths into sound frequencies. Essentially, it helps Harbisson to ‘hear’ color. Tools have always been used to expand people’s capabilities. 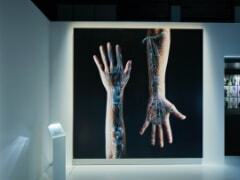 The idea of embedding devices within the human body – rather than simply holding them in our hands – is in many ways the next logical progression. 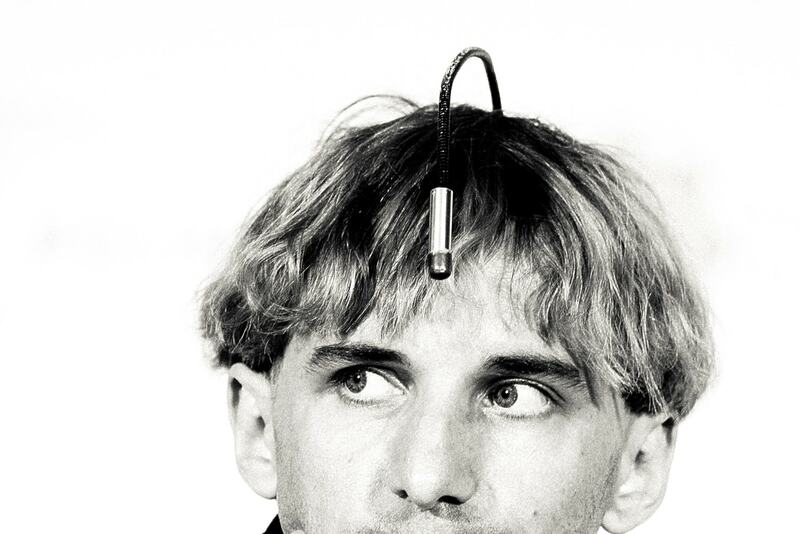 Artist Neil Harbisson, who senses color using an antenna attached to his skull. Having grown up with congenital color blindness, he longed to see the world beyond gray-scale. He gained the ability to hear sound through the power of technology. The opportunity to supplement human ability with tools external to the body is also growing greater day by day. The proliferation of 3D printers is making it easier to produce prosthetic arms and legs that better match one’s own body. They are capable of reading signals from muscles, transforming them into movement and can be manipulated freely. Changing technology will influence another aspect of what makes human beings special: our minds. People sympathize with others and sometimes make irrational decisions. The essence of humanity, perhaps, is our individuality and ability to accept difference. What role will Artificial Intelligence play in this? 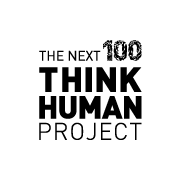 Amid the contradiction that humankind has created something that surpasses human abilities, we must ask ourselves what humanness means – and the effect this will have on both body and mind in the future.